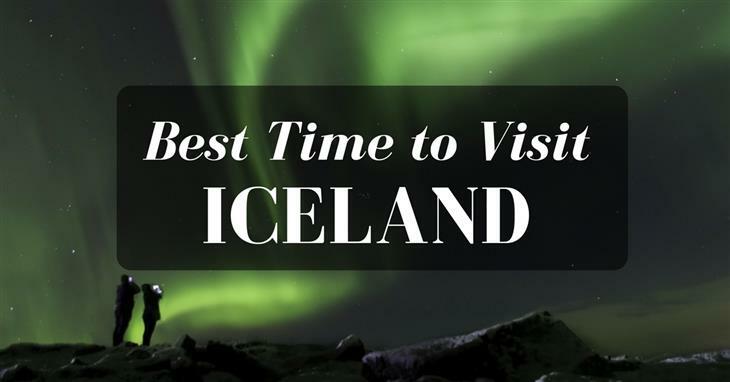 →When is the Best Time to Visit Iceland? Iceland is fast becoming a popular mini-break getaway for Europeans and a great destination for American travellers looking for a mid-haul flight and a slightly more adventurous holiday. From New York City flights to the capital of Iceland Reykjavik fly almost daily and return tickets start from $390, direct. Iceland seems a far and wild destination for many holidaymakers but it is one of the most easily accessible countries and is greatly hospitable to travellers and tourists. Iceland is also incredibly safe; less than two people are murdered each year. Steeped in Nordic tradition, waterfalls, and whale watching. Of course, Iceland is most famous for the magnificent and magical Northern Lights that illuminate the starry skies. `Winter in Iceland is harsh and cold but certainly a rewarding experience; just remember to pack your highest quality thermals and you’ll be fine. It is certainly worth investing in some super soft and super warm merino wool socks, they are the best! They keep your feet warm and dry all day long without making them sweaty and smelly! Iceland falls within the Arctic Circle and as such experience winter solstice where, on this day, the sun shines over the island for only four short hours. The sun around the time of winter solstice only rises at 11.30am and falls below the horizon around 3.30pm! Although the days are short the light, particularly around the Icelandic capital city of Reykjavik is a marvel to behold. The light is perfect for budding and professional photographers alike to put their skills to the test behind the lens. Iceland is famed for is highly fashionable knitwear. Although pricey by American standards the high quality of Iceland knitted clothing is unbeatable and well worth an investment! Although the Icelandic winters can be brutal and bitter at the best of times the chances of witnessing the Northern Lights are so high that it makes braving the cold worth the risk. In December temperatures raise little higher than zero degrees, on the best of days hitting a high of 3*C.
Blame Iceland’s far north and mid-ocean situ for its greatly fluctuating weather. Prepare for all four season in one-day…maybe more! Summer in Iceland is wonderful. More like a balmy fall day in the States than a Californian summer but nonetheless a great time to visit this Nordic nation. Hot summer days in Iceland start at 10*C and raising to 15*C on a particularly hot day! 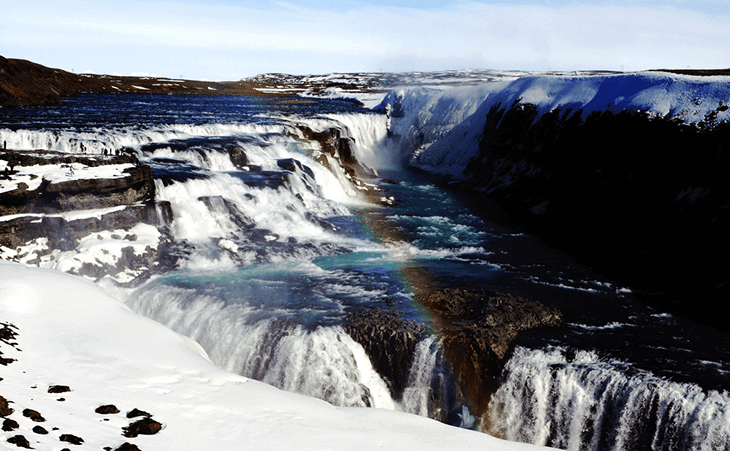 Rainfall is minimal in Iceland, in the summer months just 60mm is generally expected to fall. Light and dry days are to be expected on your visit to Iceland in the summer months. Although in the summer in Iceland the temperatures are a little more agreeable to travellers the chances of seeing the Northern Lights are greatly reduced. As the days are longer and the sun hanging high in the sky, often until after midnight meaning the Aurora borealis are seldom seen. The midnight sun, however, is a spectacle in its own right, providing the perfect light for impressive and post-card worthy photographs. In the summer months, popular activities for tourists include hiking, bird watching and believe it or not, swimming! Yes, swimming in this icy nation is a popular summer pastime for locals and holidaymakers alike. Iceland’s many glaciers also offer natural thermal pools that are a great opportunity to reconnect with nature and relax at the same time! The geothermic coastal beaches of Nauthólsvík, Reykjavík are certainly a spot to add to your bucket list! Getting off the beaten track in Iceland In summer is highly recommended, head out to the Westfjords to explore the more rugged, natural landscaped Iceland has to offer beneath the winter snows. For those who fancy a challenge set yourself the task of finding all the thermal pools around Iceland; you may have to extend your trip, however! 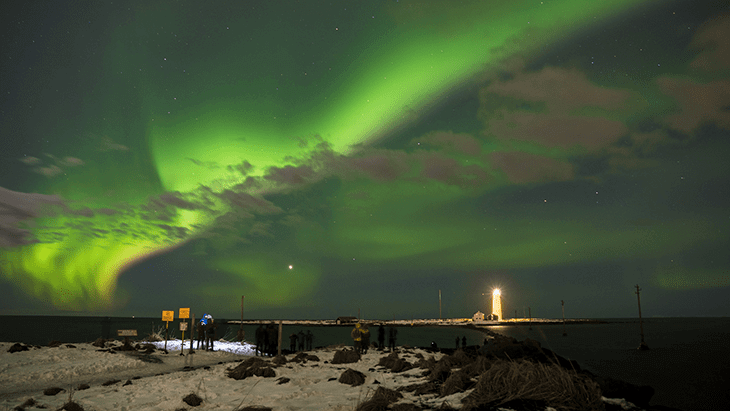 If you're visit to Iceland is solely with the intention of observing the Northern Lights then certainly the winter months are the only time to go! Remember to pack your thermals and merino wool socks! If you’re looking to get off the beaten track and explore Iceland’s wonderful natural landscapes and experience the midnight sun then summer is the best time to visit Iceland for you!